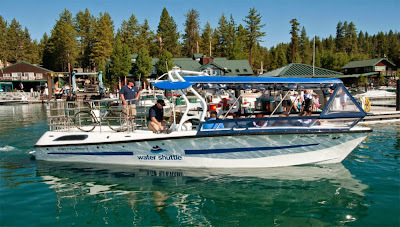 North Lake Tahoe Water Shuttle photo. 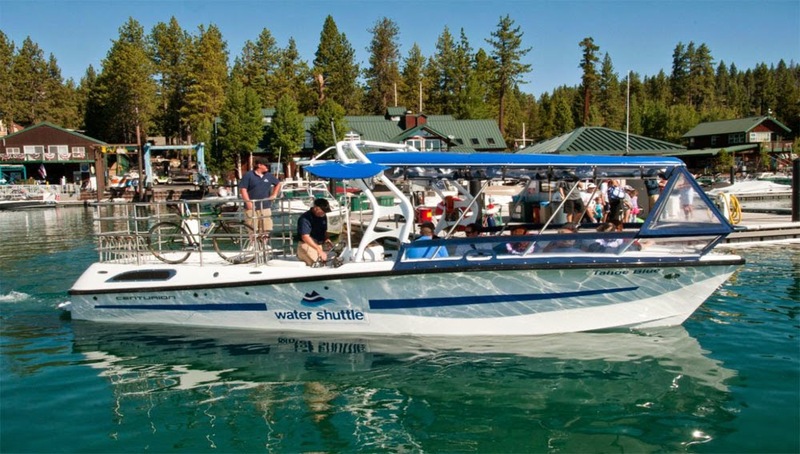 A vote by the Placer County Board of Supervisors to not approve funding for the water shuttle means the service won’t be running this summer on North Lake Tahoe. The water shuttle service concluded a three-year pilot program with poor ridership and over budget cost projections. In 2012, a transportation consulting firm reviewed the project and reported the following numbers. Approximately $11,000 dollars in revenues were generated from rider fares. The cost for the project was $183,000 dollars. Therefore, the true cost of each passenger trip was about $150 dollars. Passengers paid $10 dollars each trip. Ridership was expected to be even lower this year due to low lake levels that would force the elimination of the Tahoe Vista stop. The 30 foot boats were fun to ride and they could transport your bicycle as well. The Tahoe Transportation District will be looking for new sources of funding and a different business model to bring water shuttle service back to Lake Tahoe.